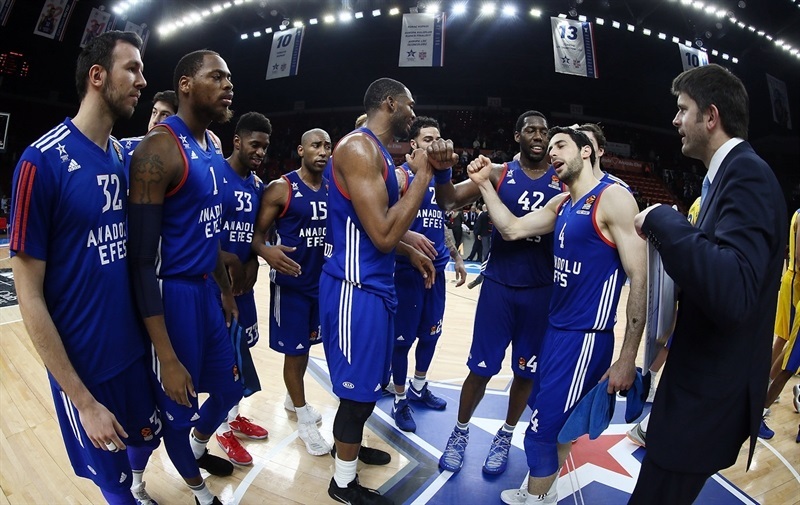 Anadolu Efes Istanbul boosted its own playoff hopes while ending those of Maccabi FOX Tel Aviv with a 92-87 victory at Abdi Ipekci Arena. 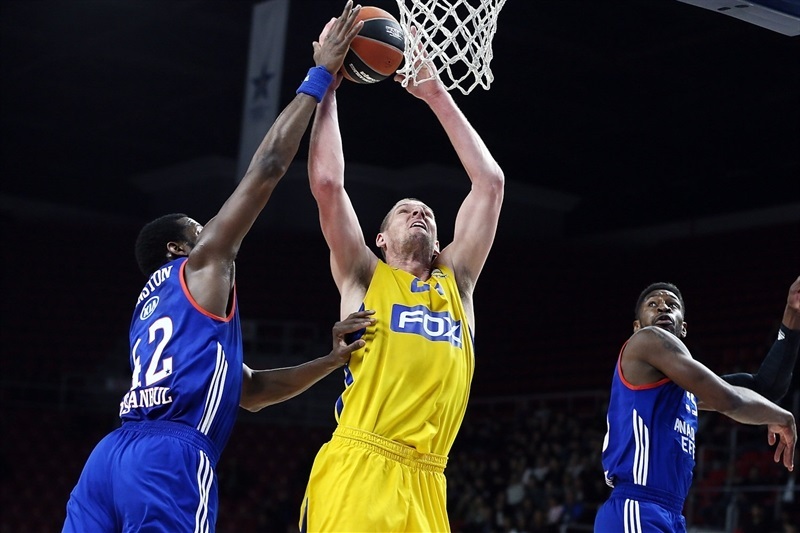 Efes completed the season sweep of Maccabi as it improved to 14-12, while dropping Maccabi to 9-17. 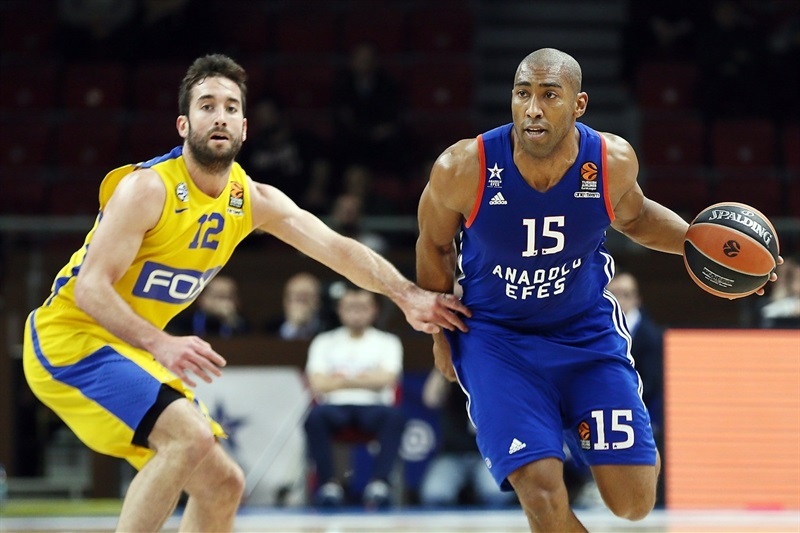 Jayson Granger starred for Efes with 22 points, 15 of which came in the third quarter as the hosts turned a 41-42 halftime deficit into a double-digit lead. His backcourt mate Thomas Heurtel tallied 18 points and 8 assists, Bryant Dunston posted 13 points and 12 rebounds and Derrick Brown added 12 points. Victor Rudd paced Maccabi with a career-best 23 points, Sylven Landesberg netted a season-high 20, Devin Smith scored 10 and point guards Yogev Ohayon and Gal Mekel each delivered 8 assists in defeat. Mekel and Landesberg fueled a late surge to bring the visitors within 3 in the closing seconds, but Granger’s layup iced the Efes victory. 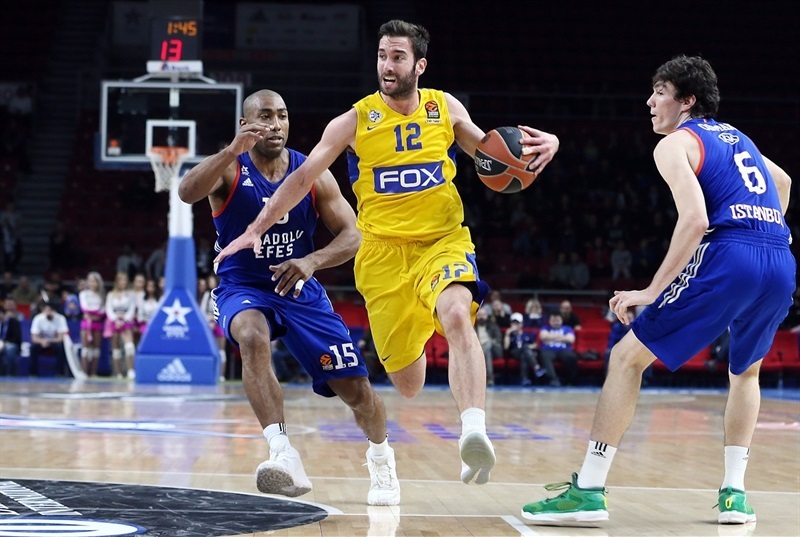 Maccabi got the start it wanted with the first two baskets of the game, but Efes bounced back and took its first lead, 7-6, on Dunston’s basket-plus-foul. Rudd was in top form for Maccabi despite a pair of early fouls and his three-pointer put the visitors up 11-15. Alex Kirk made an impact with a rejection and slam before DeShaun Thomas tied the game at 17-17 at the end of the quarter. The lead changed hands in an exciting and physical start to the second quarter before Landesberg buried a three to put Maccabi ahead 22-26. The margin twice grew to 27-35 on an Ohayon-to-Colton Iverson alley-oop, but Cedi Osman carried Efes back and Brown completed the comeback with a tip-in that made it 39-38. Joe Alexander beat the halftime buzzer to give Maccabi a 41-42 halftime edge. Brown connected on Efes’s first three-pointer of the game to open the second half. 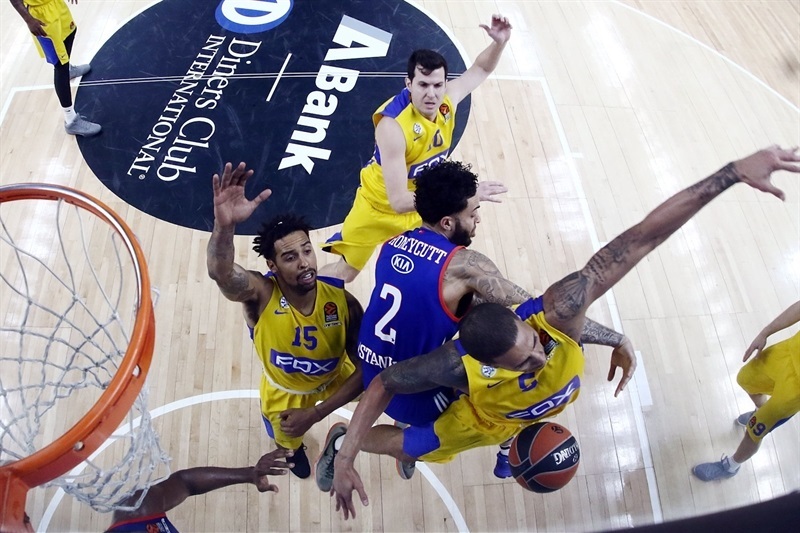 Brown turned a block at one end into a slam at the other and Dunston also dunked as the Efes lead grew to 52-45 before Maccabi called timeout. The visitors responded with 5 quick points to get back in the game. 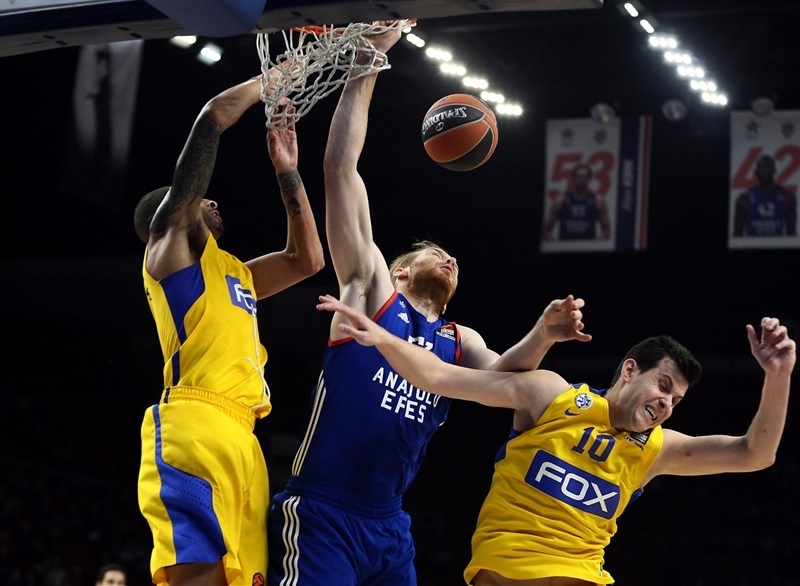 Granger took over with a jumper, a three, a steal and a layup and another three as Efes soared to 62-52. 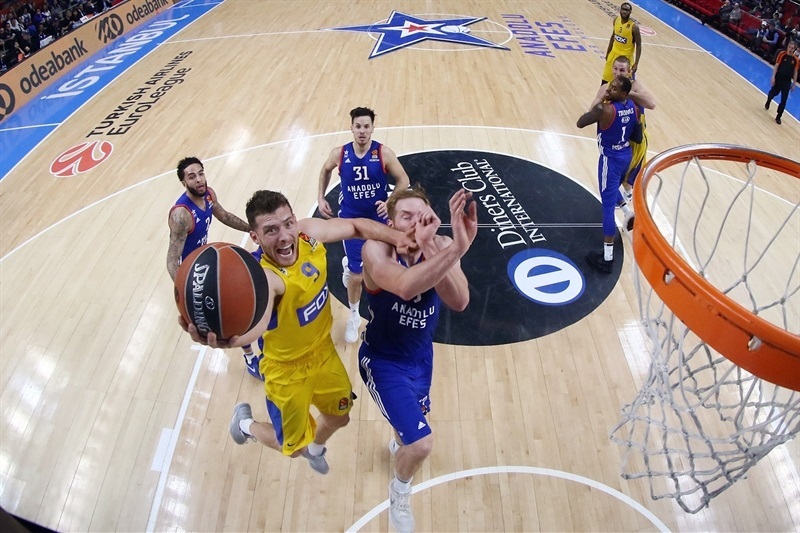 Landesberg became the scorer of choice for Maccabi, but another Granger three made it a 12-point game and the hosts led 67-57 through three quarters. Maccab refused to go away and Rudd’s jumper closed the gap to 6, but Heurtel soon boosted the margin back to double figures. 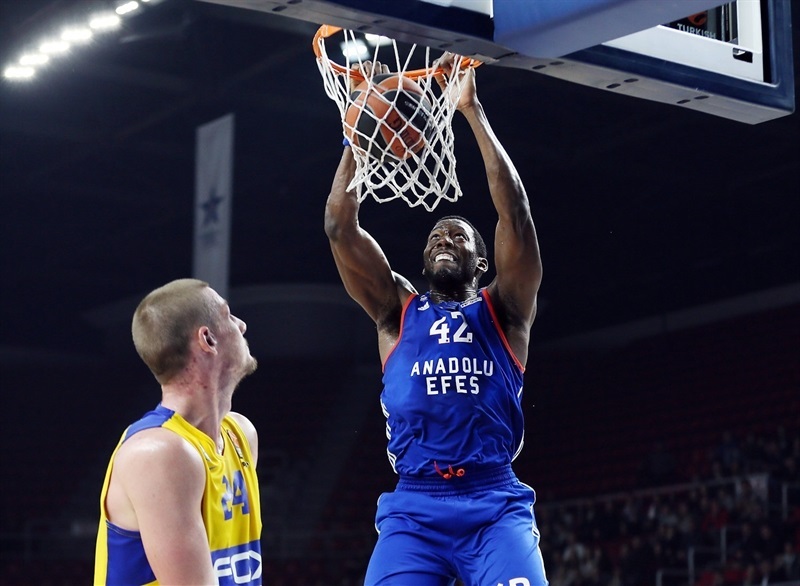 Thomas stepped up with 4 straight points and drawing an offensive foul as Efes consolidated its grip on the game. 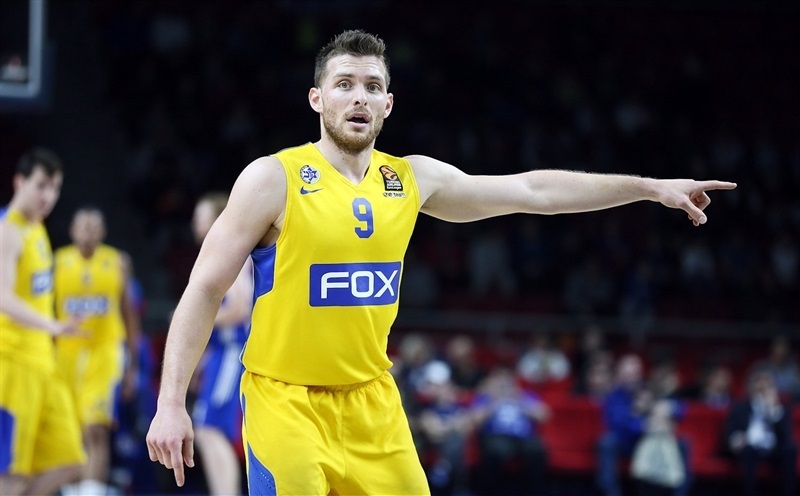 Mekel nailed a three to get Maccabi within 84-78 with 1:35 remaining and Landesberg scored 6 late points to give Maccabi hope, but a late Granger layup sealed the victory. "Sometimes we look like we don't want to win games, because we gave away too many gifts in the final minutes. 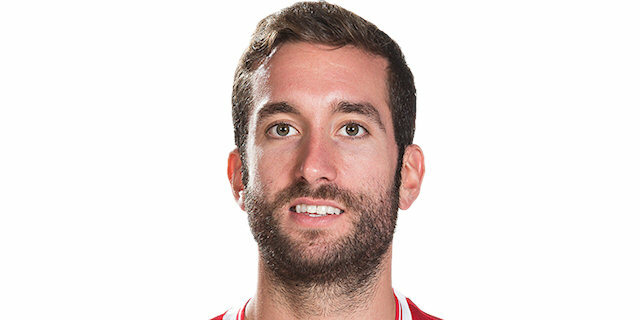 I think we played better in the second half and deserve this victory. For us, it is very important but for sure, we must play much better if we want to go to the playoffs. When we score easy points, we play good basketball, but when we have problems to score, then our defense is not aggressive, too. We have too much pressure. We had to win this game after the loss against Bamberg. After this win, we will probably need to win two of the next four games [to qualify], so today's game was crucial." 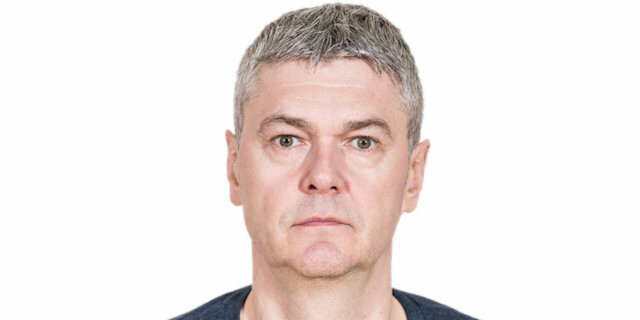 "For us what was important was stopping Efes in transition offense and controlling the rebounding, because for me they are one of the best, one of the most aggressive rebounding teams in the EuroLeague. 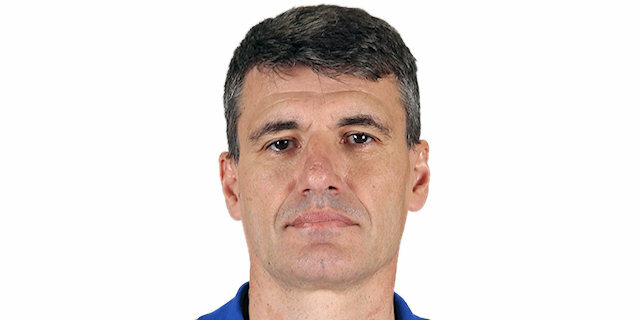 Until halftime I want to say we didn’t because Efes got 8 or 9, I don’t remember exactly, offensive boards plus the end of the second quarter all the points were from transition offense; we missed the shot we did not return in a good way and Efes used it. 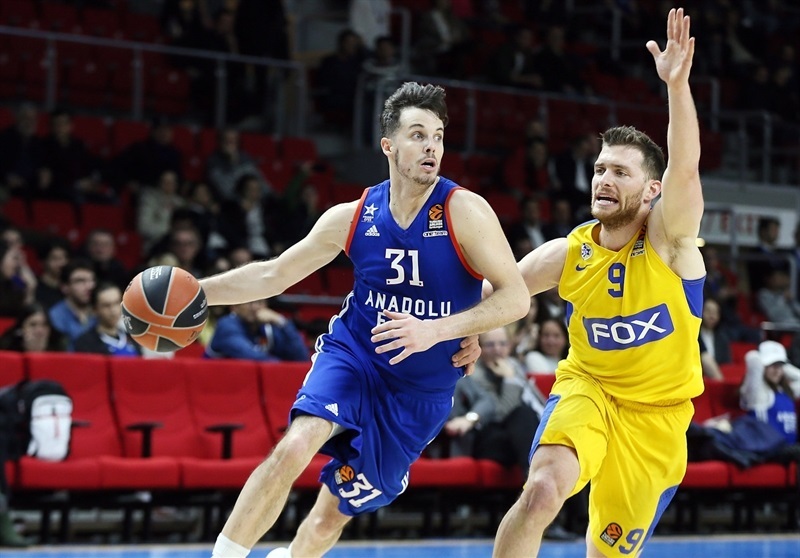 In the third and fourth quarter we played much better rebounding wise, but Efes found a joker in Granger. He scored everything and we could not stop him. And in the fourth quarter Heurtel played very well. We were in the game, we were very close, just turnovers without pressure decided the game." 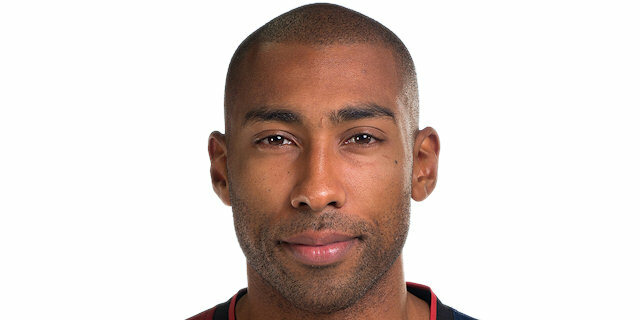 "I think that we didn't make a good job in the first 20 minutes, offensively and defensively. They had too many transition points, but I think we came up big in the third quarter and scored some three-point shots that we didn't score in the first half. That was one of the keys. I felt good and the good thing of this team is that everybody is able to help in any moment of the game. It was my turn today and we are really happy for the win." "We started well and took care of the ball, but we came out bad in the third quarter and let them take control of the game. After that is was hard to chase them. 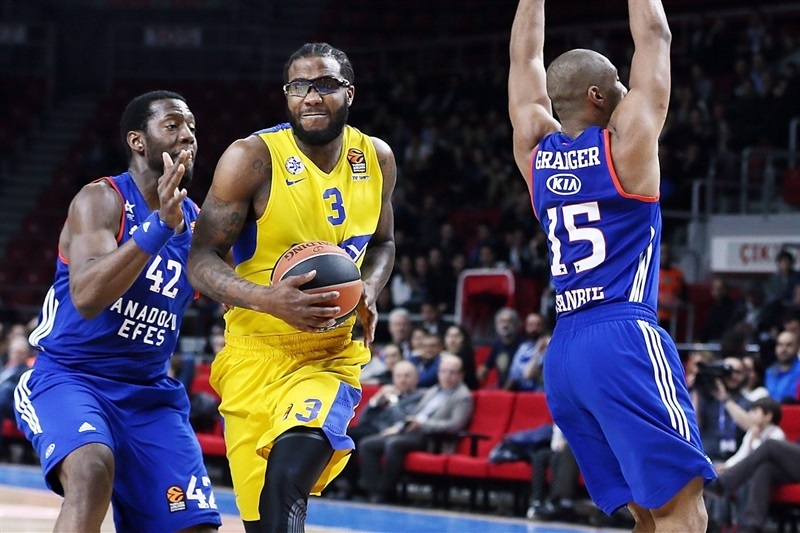 We will continue to give everything we have in every EuroLeague game."